Karpaka Vinayakar Temple is also known as Pillayarpatti Pillayar temple. The temple is a rock-cut cave shrine dedicated to Lord Ganesha. The temple is located at a place called Thiruppatthur in the Sivaganga district of Tamil Nadu. At the cave temple, one can find rock-cut images of Lord Shiva along with several other deities housed in several shrines. As per the scriptures found on the stones in the temple, the temple is believed to be constructed sometime between 1091 - 1238. The temple is only shrine which has a 6 ft tall rock-cut idol of Lord Ganesha. The trunk of Ganesha here is curled towards his right side which also gives him the name as Valampuri Pillaiyar. Unlike other shrines, where the deity faces the east or the west directions, here the deity faces the northern direction. We usually get to see Lord Ganesha with four arms; however, here you get to see him with just two and he is seated with his legs folded. The temple is carved out of the Pillayarpatti hillock by the Pandya Kings. 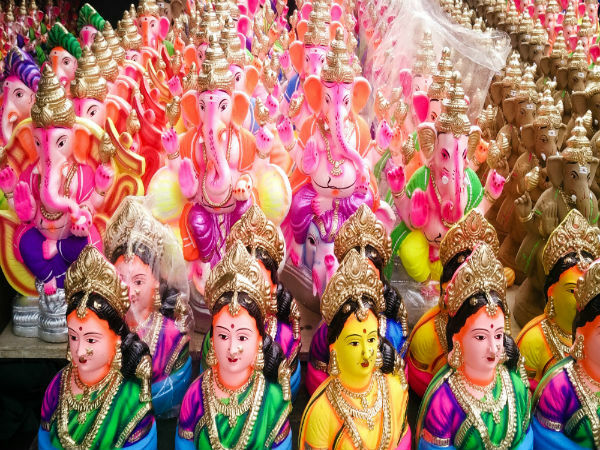 The idols of Vinayakar and Shiva were carved out by an artisan named Ekkattur Koon Peruparanan who also put his signature on a stone inscription. The idol of Ganesha is said to be carved around the 4th century AD. The temple is taken care of by the Chettiar community and is one amongst the nine most important temples for the community. The temple also houses other shrines dedicated to Lord Shiva, Goddess Karthiyani, Nagalingam and Pasupatheeswarar. It is believed that unmarried women who offer their prayers to Goddess Karthiyani would be married soon. In the same manner Nagalingam is worshipped by childless couples for the birth of a child and Pasupatheeswarar is worshipped for wealth and prosperity. As Vinayakar faces the north and his trunk curled towards his right side, he is equally worshipped for prosperity, wealth and knowledge. The most important festival celebrated here is Ganesh Chaturthi which generally falls in the months of August or September. The festival is celebrated for 10 days and is concluded with a grand car festival. This year Ganesh Chaturthi celebration begins from the 25th August 2017 and goes on till 3rd September 2017.